Maybe Content Type definitions for Smart Content tab can be moved to external file. Similar to Categorys.txt, Compatibilities.txt etc. This would allow easy update of Content Types. At the Moment it could use Actor/Character sub-type and Preset/Materials/MDL and Preset/Materials/RSL sub-types. Likely Daz will come up with some new ones in future I guess. I've added to the Compatibilities (always new figure coming!) and Categories already so it would be nice to have to option with Content Type also. I'll look into it after I get the major bugs in the current CDDS fixed. 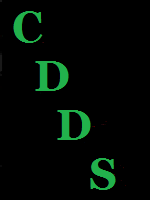 I just upload a test version of CDDS ( 1.0.5.9 ) with this suggestion added. Great! Wil try it later this morning.